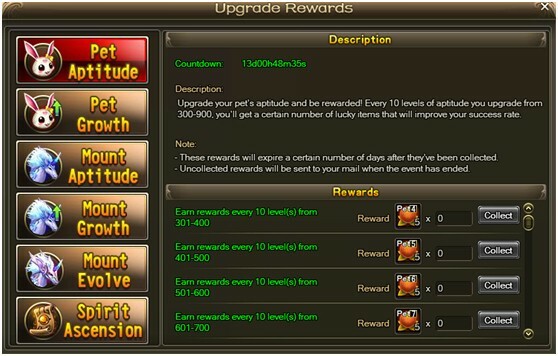 Description: Recharge during this event and get exclusive Magic Crystal Packs. 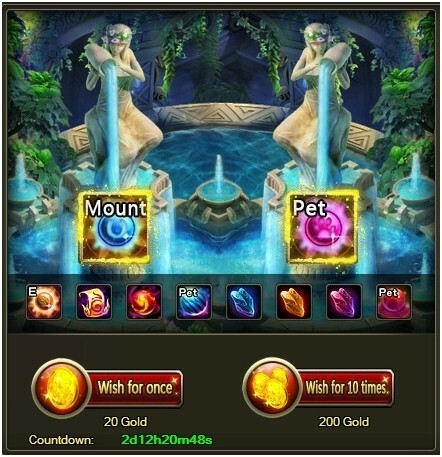 Open the packs to obtain Magic Crystal, which can then be used in a special shop that’s accessed by clicking the “Crystal Cave” event icon. The items for sale there will reset daily, so keep checking in to see what’s available. 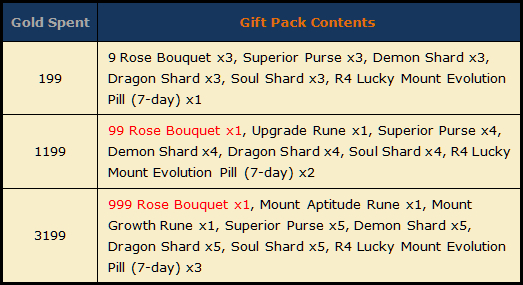 Description: Spend unbound gold and get bonus gift packs containing valuable items, including Superior Purses, Roses, and more. Now’s a great time to improve your intimacy with your friends and spouse!